Megastar Amitabh Bachchan finds it embarrassing to be tagged as the 'Star Of The Millennium' saying the title came his way due to a computer error perhaps and insists he is just an "ordinary artiste". 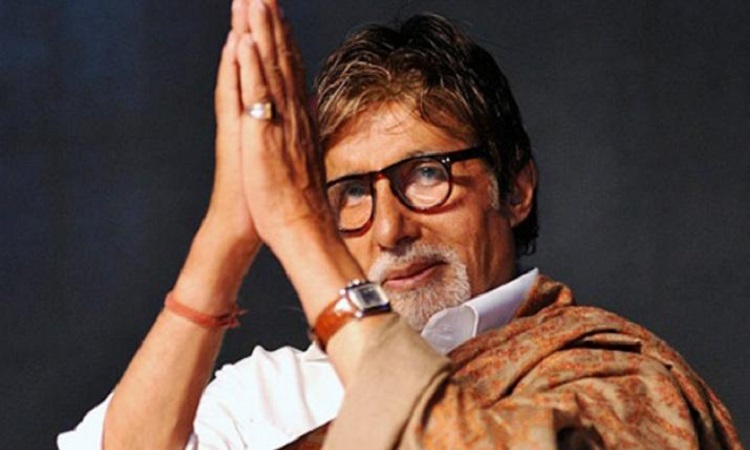 It was in 1999 when the BBC honored him with the title after an online survey, but Amitabh recalls it was his co-actor Govind Namdev, who told him that he was 'Star Of The Millennium'. "But I never believed in it... There is one secret behind it. The BBC News, which conferred the honor on me, conducted an online survey where they asked people to vote for an actor whom they thought was the most popular in the last 100 years. The 76-year-old thespian was addressing the media at actor-turned-author Namdev's book launch titled "Madhukar Shah Bundela" along with Ram Gopal Bajaj, Satish Kaushik, and Chandraprakash Dwivedi. Priyanka becomes the FIRST global icon to have 4 Madame Tussaud! Kangana swears to EXPOSE EACH AND EVERYONE in Bollywood!